If you knew how long I had been wanting to go to this restaurant...! 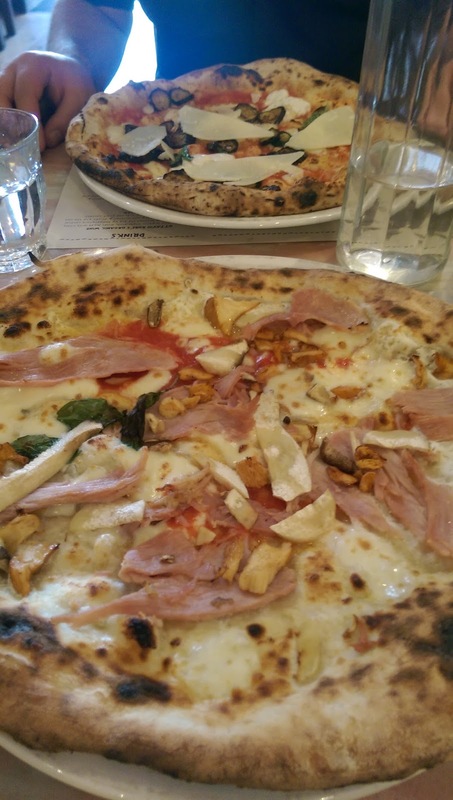 Franco Manca is a sourdough pizza restaurant, originally from Brixton but now spreading out across the London scene. And deservedly so! I'd heard nothing but good things about this place, and being around Brixton a lot it's come heavily recommended to me but I just never found the time to go. At last, I finally made it, and boy have I been missing out - this place is amazing! The menu is very simple. They do sourdough pizza, six different types, and, uh, that's pretty much it. There's one salad, and that's your only deviation. The pizzas are very simple - but they are SO good. I had pizza number four, which is Gloucester old spot ham, mozzarella, buffalo ricotta and wild mushrooms and it was seriously so good. It was also just £6.85 which is amazing value for something so ridiculously delicious. I can't believe it took me so long to finally make it here and it's definitely not going to take me so long to go back, and I'd definitely recommend you try it too, particularly if you can make it to the Brixton original. Check out their website here! Advertising is back - Get 50% off in July!! California; Part One. The Beach Edition!